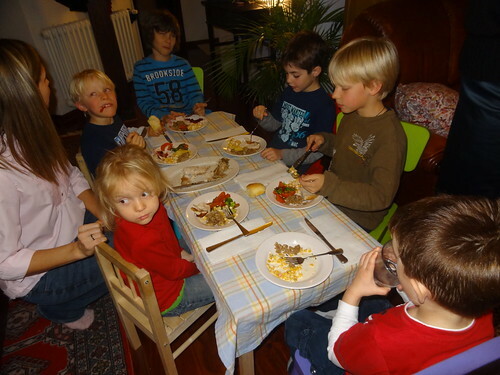 We had a wonderful Thanksgiving dinner last night at our home. We worked on Thursday so we postponed our family dinner until Saturday. I worked at the Strategic Planning Workshop all day, but Nadia and team Kralovec (Vera helping with the cooking and Ivana with the kids) prepared a delicious feast. 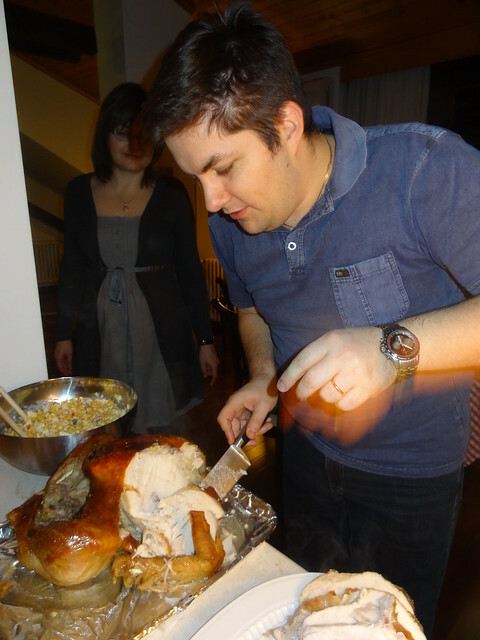 The turkey was perfect and was accompanied by Nadia’s Bolivian salad, mashed potatoes, deviled eggs (my favorite), pumpkin pie, banafi pie, etc, etc., etc. We also drank some homemade Vishinata (sour cherry “moonshine”) and some excellent Romanian white wine. We invited our friends Claudiu, Vesna, Dani, and Crina to celebrate with us. The kids had a good time and it was great to spend time with family and friends.